A favourite with the locals, the décor may be a little on the unconventional side, but this restaurant serves tasty traditional and authentic Italian food. It’s just a few minutes from Rialto Bridge, tucked away down a narrow lane. Those who manage to locate it will be rewarded with a complimentary glass of Prosecco and some of the freshest dishes in the city and incredibly generous portions. A worthwhile treasure hunt, that’s for sure. 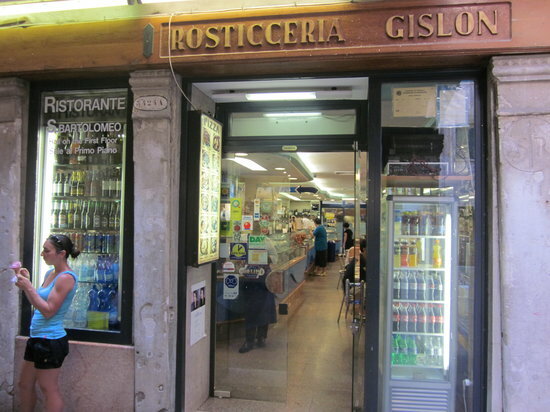 Another one located near Rialto Bridge, this small deli style restaurant serves a selection of fresh food, including pizza, pasta, seafood and meat dishes. Quite simply, there’s something for everyone on the menu, so you won’t be disappointed. Check them out on TripAdvisor. Check out Antico Forno on TripAdvisor. 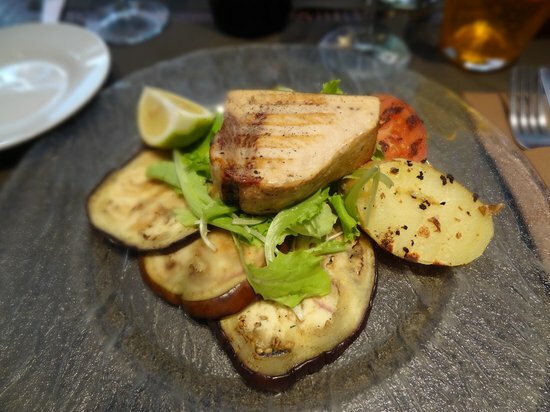 Based in Santa Croce, this is a lively restaurant with lots of character that’s famed for its beautiful traditional cuisine. Serving a generous selection of pasta, seafood and 50 different pizza choices, it’s a favourite amongst travellers. It gets very busy in the evenings, so if you want to guarantee yourself a table, get there early. Check out Al Bacco Felice on TripAdvisor. A hole-in-the-wall wine bar in the eastern suburbs, El Refolo not only offers great selection of drinks but a variety of snacks like sandwiches, filled rolls, and a very small-but-ever-changing selection of pasta dishes. It may not the place to go if you’re famished, but great if you want something to nibble on while sampling some of the region’s tastiest vino. Check out El Refolo on TripAdvisor or visit their website website. 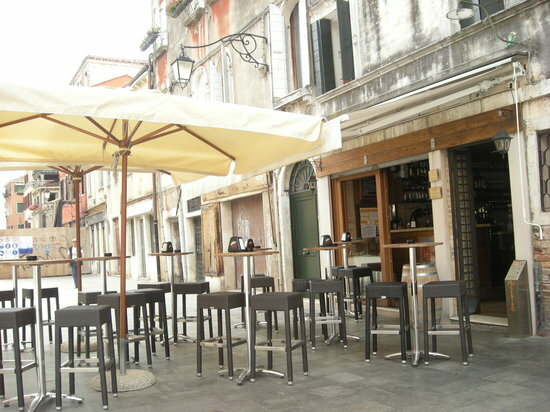 Located in the famous, historical and bustling Cannaregio neighbourhood, this restaurant serves some of the freshest food going in the city. They prepare and cook pizza from scratch right before your eyes, so you can watch the chef spin the dough and show off their skills. 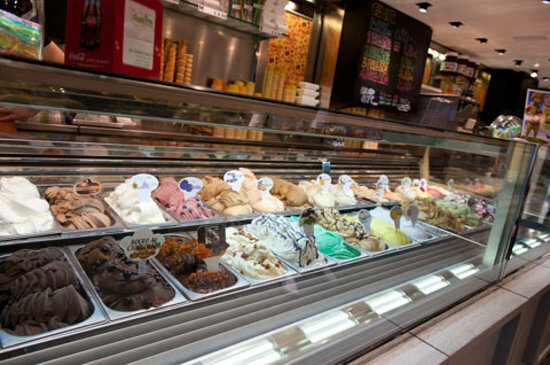 On top of homemade pizza, they sell kebabs, and to-die-for Italian gelato (ice-cream), traditional cakes and chocolate. 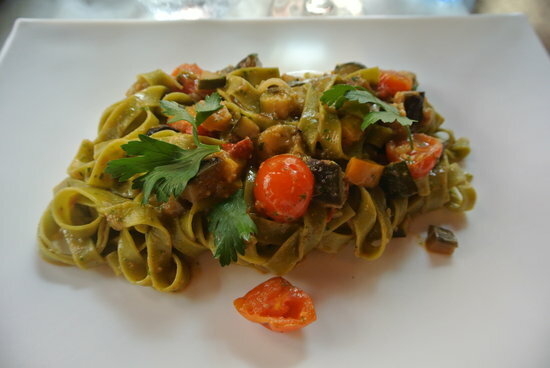 Check out Quanto Basta on TripAdvisor or visit their website. A favourite for lunch amongst the local professionals and university professors, this serves affordable by high quality cuisine. You can get an afternoon primo (pasta, risotto or polenta) or secondo (heavier meat dishes, stew or fish), along with a glass of wine for around 12 Euros. There’s also a lighter selection of sandwiches and salads for those with a smaller appetite. Don’t feel intimidated if you’re the only traveller in there, the staff speak excellent English. 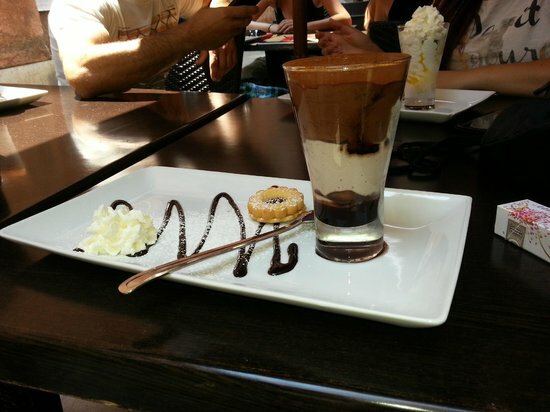 Check out the Impronta Café on TripAdvisor or visit their Website. True to its name, it sells an incredible and unique selection of fried foods and fresh fruit smoothies. It’s perfect for meat lovers and vegans alike, serving a selection flash-fried battered meats, fish, cheeses or vegetables. The frittures are served in cones ranging from small snack sized portions to large family-sized ones (which you can of course keep to yourself if you’re hungry). Check out Fritto Frutta on Tripadvisor or visit their website. 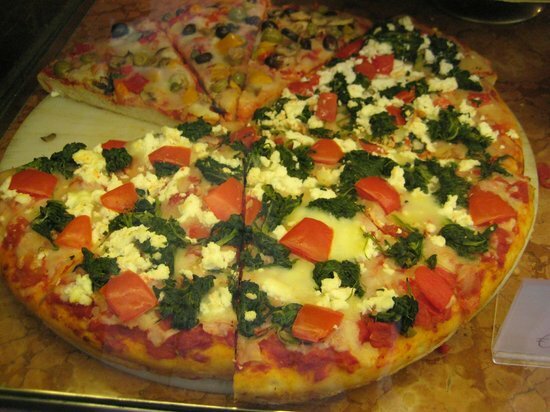 Open until late at night, this San Polo pizzeria serves a large range of pizzas. It’s great value, there’s plenty of choice and it’s the perfect stopover after a few drinks. In fact, you can carry on drinking here, since they also serve beers. Bonus. 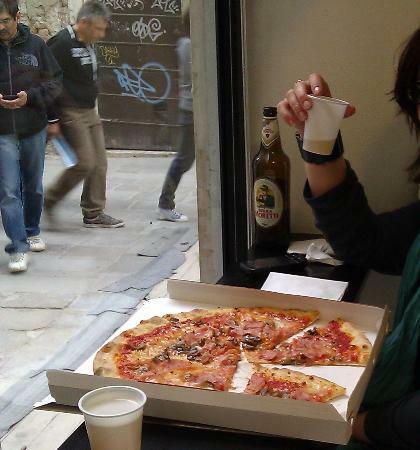 Check out Pizza 2000 on TripAdvisor. 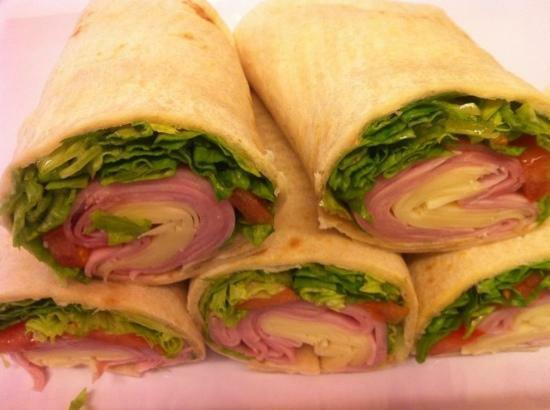 Panini Lampo is snack central, offering freshly prepared paninis, sandwiches and wraps made to order. 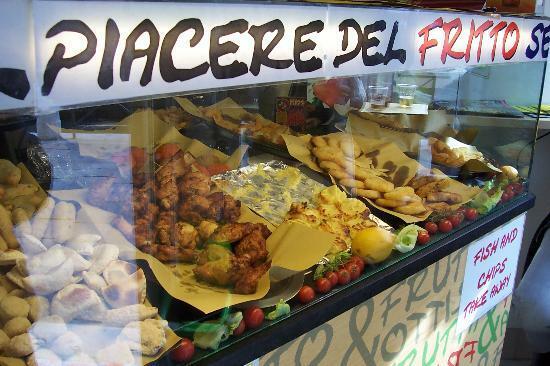 Pick from a wide selection of fresh breads and fillings including cured meats, salads and genuine Italian cheeses. At around 3.50 Euros, you can’t really go wrong. Head over to TripAdvisor for more information on Venice..
* The Travellers’ Choice Destinations awards honour top travel spots worldwide based on millions of valuable reviews and opinions from TripAdvisor travellers.